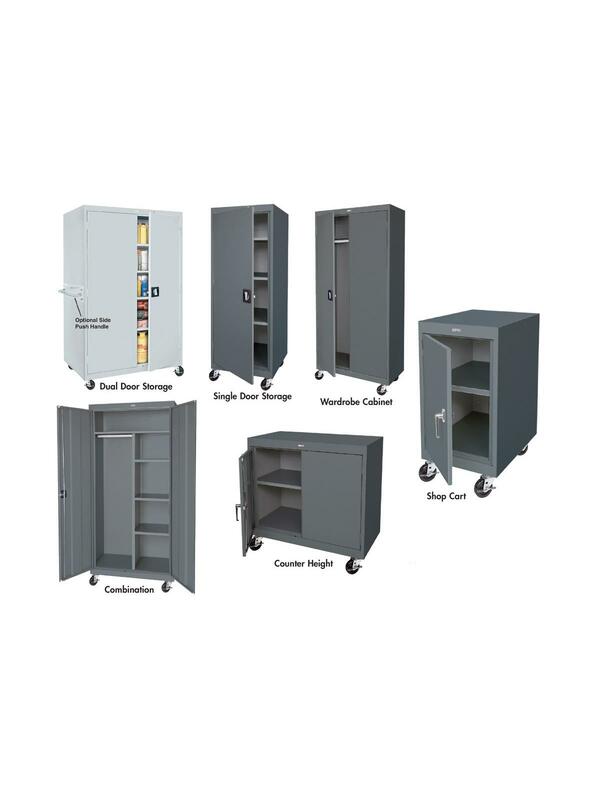 Durable 22 ga. steel cabinets allow for flexible storage capacity. Mobile storage cabinets allow smooth transport of stored items on 6" ball-bearing swivel casters - two with brakes to secure cabinet's position. Casters are positioned to permit flush positioning to walls. Includes extra deep adjustable shelves to provide nearly 40% more storage space than standard models. Cabinets close with three point recessed locking handle. Solid welded steel construction yields years of hard working service. Durable finish. 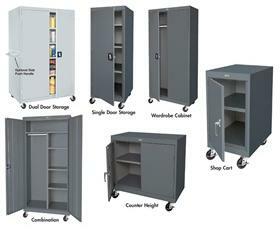 Available in standard cabinet storage, wardrobe, combination, and counter height cabinet models. Available in 10 colors: Charcoal, Tropic Sand, Dove Gray, Putty, Black, White, Red, Blue, Forest Green, and Multi-Granite. Non-standard colors available for an up charge. Ships assembled except for lock rods and casters. FOB Shipping Point. 18 x 24 x 36"18 24 36"